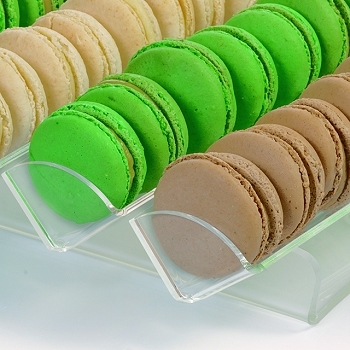 Elegant Macaron Bakery Display for presenting the classic French Macaron! Perfect for bakeries and pastry shops. 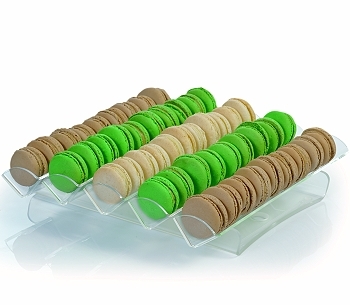 Display can be assembled with up to 5 rows for a maximum of 45 macarons. 5 clear acrylic "v-shaped" rows, sitting on top a clear acrylic support base.